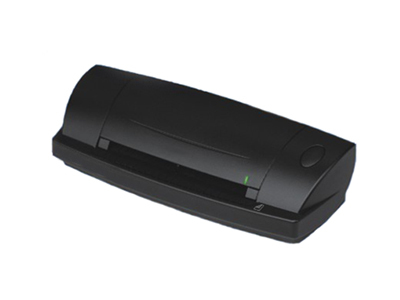 A single pass with the DocketPORT 687 provides a quick, accurate, and simultaneous scan of both sides of ID cards, driver’s licenses, checks, and other forms of identification, as well as other documents with dimensions up to 4.2” x 7.25”. A single pass provides a quick and accurate simultaneous scan of both sides of ID cards, driver’s licenses, checks, and other forms of identification, as well as other documents up to 4.2” x 7.25”. The resulting scan is at a crisp 600 dpi resolution. It also easily handles thick media such as laminated ID cards. Whether you’re on the road capturing business cards or in a hospital scanning patient IDs on a mobile cart, the 687 has the compact size and USB power to go anywhere. The DocketPORT 687 is designed to handle serious workloads. Inside, you’ll find high quality imaging hardware that captures quick, clear images. Outside, you’ll find a durable shell that stands up to continuous use. With one pass, delivers a scan of virtually any ID card or card-sized document (up to 4.2” x 7.25”), including laminated cards. TWAIN driver is compatible with hundreds of software applications.